perhaps it’s just my tough luck here, but I think it’s time I give up here. I got a new phone and I’m having issues with my passwords which led me to having to change a bunch of them. Same issue here so I changed my password. If I try to edit a post I’m asked for my password but nothing happens however I can upload a post. Go figure. I also can’t access several posts waiting to be published. Tagline- Evil Has a Whole New Rap. When it comes to the Leprechaun franchise I can’t say I’m a huge fan of the series, but I enjoy them for what they are and that’s silly B-movies. 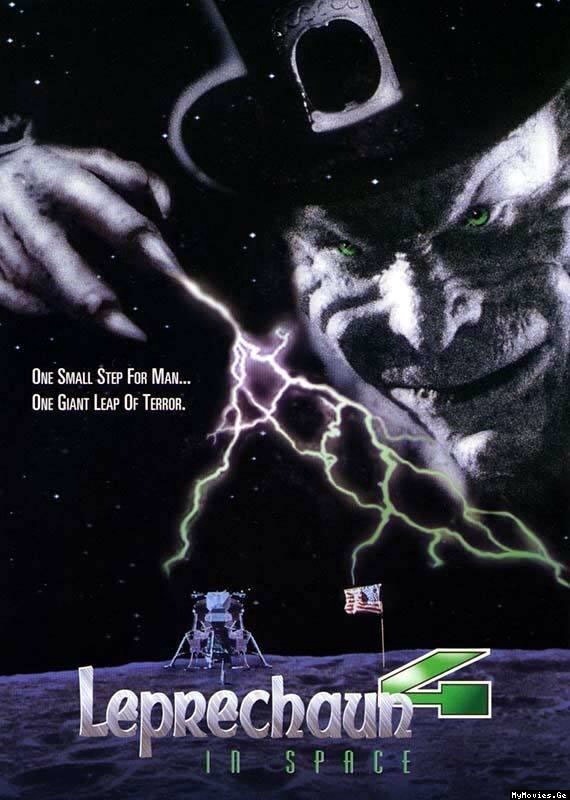 Leprechaun 3 is the one film in the series I actually really enjoy and while it wouldn’t make my top 100 or anything its a fun B-movie romp and the one I find myself revisiting. Fans of the series usually cite the 3rd as the best as well. Based on part 3 it seemed perhaps the Leprechaun series hit its stride, but than part 4 happened, which isn’t the worst film I’ve seen, but it wasn’t nearly as enjoyable as the 3rd or as its concept. As of Leprechaun 4 most cited it as the worst. After a few years off somebody decided there should be a 5th film and decided to set it in the hood. As silly as it may sound it actually worked as video sales were quite strong and while I can’t say I was a huge fan of the 5th it was however fairly enjoyable in spots. 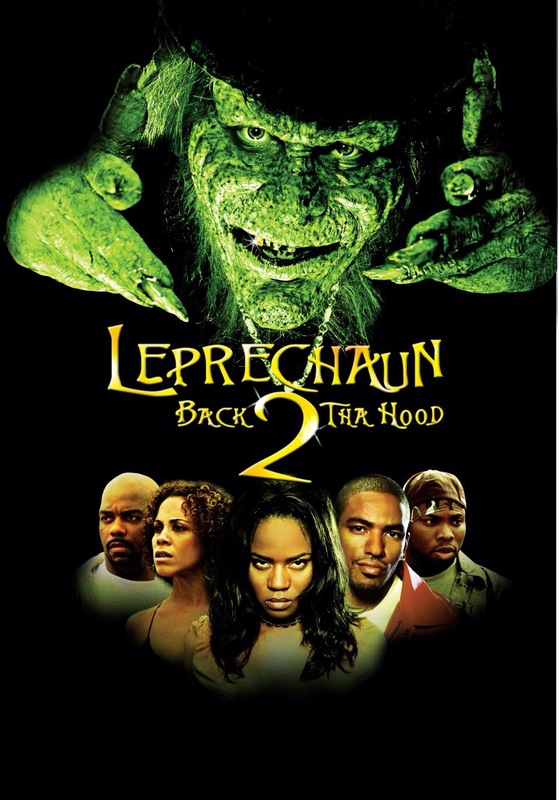 3-years later we get Leprechaun: Back 2 Tha Hood, which for me is easily the absolute worst of the original series. The interesting thing about the Leprechaun series is each part is pretty much its own film with no connection to the last one. Despite the hood setting being used again this is also its own film. While each film may not be connected that doesn’t change the fact this is still the 6th film and not many horror franchises or any franchise for that matter can still remain going strong 6 films in and when you really break it down none of the Leprechaun films were really all that great and it stacks the odds against the film even more. It’s hard to hate a film that never really attempts to take itself seriously and even has a scene with the Leprechaun (Davis) smoking weed from a bong than getting the munchies. Leprechaun: Back 2 Tha Hood is an ultra low budget film that aims to simply entertain and again never takes itself serious, but that doesn’t mean it deserves a free pass. Going into this film I wasn’t expecting a film on par with Rosemary’s Baby. I knew exactly what I was in store for, but even with that I still felt this was absolutely awful and 90-minutes felt like 190-minutes. Outside of the one scene I mentioned there really isn’t many redeeming qualities to this outside of maybe one other scene. Perhaps my rating is too low, but I can honestly say outside of a scene or two I was mostly bored out of my skull. Again I wasn’t expecting Rosemary’s Baby, but I was expecting a film that at the very least was fun and Back 2 Tha Hood has its fan-base, but for me again it was bottom of the barrel in a series that isn’t really all that great to begin with. When a group of friends down on their luck come across gold coins they think things have finally changed, but all they did was awaken the Leprechaun who is in search of his gold. Leprechaun: Back 2 Tha Hood was written and directed by Steven Ayromlooi and the script is simply awful with a couple of somewhat amusing bits mixed in. The script plays up to almost every black American stereotype and if not for the fact it was meant to be a little satirical it could be seen as offensive, but I know that wasn’t the intentions to offend anyone. The film is poorly plotted and characters are rather bland and really nothing Steven Ayromlooi writes works very well as its neither funny or suspenseful or even interesting. As director Steven Ayromlooi doesn’t handle things much better as Back 2 Tha Hood is very sluggishly paced and my biggest issue is I found it boring, which for me is what really sinks this film as I found the film devoid of any fun. The more dramatic scenes are a sloppy mess and the comedy too forced. One thing clear is the budget was quite low so there are limitations, but the horror genre can sometimes be better when there’s a lack of budget since it forces the filmmakers to be more creative and creativity is something this film doesn’t have. The death scenes are poorly staged and I get the fact there wasn’t a lot of money for F/X, but there’s ways to work around that. Really at the end of the day Steven Ayromlooi gave it his best shot, but its just a poorly written and directed film with lousy production values. I’ll give the actors credit as the main cast really isn’t bad at all they just have lousy material to work with. But the cast at the very least gave respectable performances and made this a little more bearable. Sadly this was the last film with Warwick Davis in the title role and too bad he didn’t end his run in a better film. I’m not even sure why Warwick even returned, either he was under contract or he just really loved playing this character. Unless he got 95% of the budget (or black mailed) I’m surprised he came back. Warwick Davis is a terrific actor and with the Leprechaun films he really brought so much to it and its clear he truly enjoyed playing the character. These are low budget films and while I’m sure he got a decent paycheck in most its a lot of make-up to be applied to him and to go through that its more than just money. In each film you can see he loved the role in particular Leprechaun 3, which gave him the best material and even in Back 2 Tha Hood, Warwick Davis is fun to watch, but even he doesn’t seem to have the same energy as past films at least in spots. Overall I found Leprechaun: Back 2 Tha Hood quite a chore to sit through and outside of a moment or two I was quite bored. Some have hailed this as one of the worst films ever made and the scary thing is there are films out there far worse and its also been dubbed one of the worst sequels. I’ve seen films where I was just in awe at how terrible they were and it looked like a home movie by someone who shouldn’t be allowed near a camera. At the very least Back 2 Tha Hood while cheap looking is still professional, but as for one of the worst sequels well I’m not sure where this would rate, but I would rate it as one of the worst. I very rarely rate a film under 2.5 and its even rarer I go under a 2, but if I’m being totally honest this is one of the films I felt was worthy of the low score. I’d be willing to bump it up a notch, but the negatives far outweigh any tiny positives. Leprechaun: Back 2 Tha Hood actually has a following so there people that enjoyed it, but I’m not one of them. Outside of Leprechaun 3 I can tolerate the series, but as mentioned I’m not a huge fan, but this was for me by far the worst of the original series. Tagline- Evil’s in the House. When the original Leprechaun was released in 1993 I doubt anyone could have imagined it would become a successful franchise that would spawn a number of sequels. The original film was simply ok and it’s something I can revisit, but only after a few years. The 2nd film was quite an improvement and even if I give them both the same rating I vastly enjoyed part 2 more. Leprechaun 3 the first in the series to go DTV is my guilty pleasure of the series and the one I can say I actually quite enjoyed and it seemed perhaps the Leprechaun franchise might have hit its stride, but than then the 4th one happened and while it wasn’t terrible, but it wasn’t very good either and at that time many among myself saw it as the worst. After a few years someone at Trimark decided it would not only be a good idea for a 5th film, but also set it in the hood. However it actually proved to be a good idea as Leprechaun in the Hood was quite a success with rentals and cable airings. The film was released in 2000 and often draws mixed reviews with probably more subpar, but Leprechaun in the Hood has developed quite a cult following and I don’t think the film is quite as terrible as some, but I didn’t enjoy it as much as some did and at the end of the day sure the film has a number of amusing bits, but I might rate this as the weakest at the time of its release (Leprechaun: Back 2 Tha Hood however would easily take that title after its release). As I’ve mentioned in other reviews I’m not the biggest fan of the series outside of really the 3rd film (and part 2 to some degree), but outside of part 3 the rest are average or below average, but what keeps me coming back is Warwick Davis who truly elevates these films and here we have the Leprechaun getting high even saying the line a friend with weed is a friend indeed and the closing credits has him performing a rap song! The evil Leprechaun (Davis) is back again and still just as protective over his gold. This time around the Leprechaun battles an aspiring rap trio and an evil record producer (Ice-T). The screenplay by Doug Hall & Jon Huffman like the previous films is meant to be silly and campy and while not exactly a great screenplay by any stretch of the imagination it does feature a few amusing bits such as the Leprechaun smoking a joint. Characters are decent, but too cliched in spots. Some people have claimed racism, but everything here is meant to be a satirical look at life in the hood and in no way do I think this was offensive (though the next part would do the same thing and felt a little more offensive even if that wasn’t the intentions). On paper Leprechaun in the Hood has a fun idea, but while the script aims to be just that it isn’t as fun as it wanted to be. 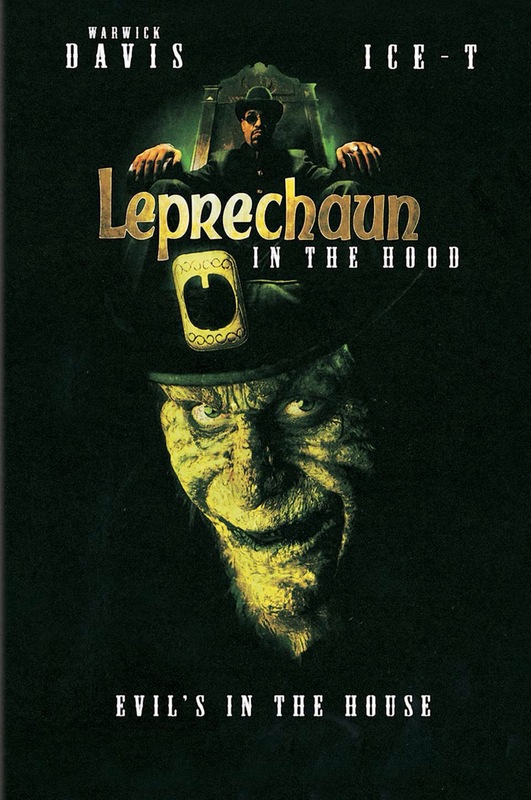 Leprechaun in the Hood was directed by Rob Spera who took over the series from Brian Trenchard-Smith who directed the 3rd and 4th film. Rob Spera who made is directorial debut in 1988 with the low budget horror film Witchcraft, which would end up becoming one of the longest running horror franchises with 12 sequels. Spera also directed Bloody Murder 2, which while average was a major improvement over the original and he also has plenty of TV directing credits such as Criminal Minds and Army Wives. Spera has experience working in low budget features, which is a good thing since Leprechaun in the Hood looks like the budget was a lot lower than the previous films. Rob Spera delivers a fairly fun film, but can also be quite sluggish in spots, which has more to do with the shortcomings of the script. The Leprechaun franchise always had a sense of humor to it and they were never intended to be legit horror films though the first two films attempt some suspense, but Spera never really looks to generate much suspense, which is a good thing since I’m not sure a wisecracking leprechaun would be very intimidating. Despite the low budget, Spera does put together a professional looking film, but not a very good one. At this stage in the series I’m not sure anyone could make more out of this and outside of the 3rd film all the others were either average at best or below average. Rob Spera delivers a few fun moments, but more often than not Leprechaun in the Hood just isn’t very good. Like all the previous films this one works best when Warwick Davis takes center stage. By this point in the series with the budget getting lower I would have to think passion for the character rather than the money is why Warwick kept coming back. While the Leprechaun franchise may not have reached the heights of other horror franchises I would still label the Leprechaun a horror icon, but it has nothing to do with the films, but everything to do with Warwick Davis and what he brings to the role. Overall Leprechaun in the Hood has a fun idea, but for me the film never reached the level of fun the concept had. With that said there are a number of amusing bits so I can see why it’s built a cult following. Of all the films in the original series Leprechaun: Back 2 Tha Hood is for me by far the absolute worst. Leprechaun in the Hood did turn out far better though that isn’t saying much, but this as of its release as I stated might be my least favorite, but seeing as the 4th wasn’t very good either I guess its pick your poison. Despite some fun moments I found this mostly a dud, but watchable. Tagline- One Small Step for Man. One Giant Leap of Terror! Starring- Warwick Davis, Brent Jasmer, Jessica Collins, Miguel A. Nunez Jr.
As I’ve mentioned in past reviews for the Leprechaun series I’m not the biggest fan. I can tolerate them and even have some fun, but they’re films I’ll revisit after a few years have passed. However I have to say that I really enjoyed Leprechaun 3 as its a fun B-movie romp and based off my general opinion of the franchise, which I find tolerable even I was surprised by how much I liked the 3rd film. By most fans of the series the 3rd is considered the best and by many Leprechaun 4: In Space the worst, which is a bit ironic since both films were directed by Brian Trenchard-Smith (though I guess now most would cite Leprechaun: Origins as the worst). Leprechaun 4 is a major step backwards after the surprisingly solid 3rd film, but I don’t think it’s as awful as most seem to. It’s difficult for me to hate a film that never takes itself seriously as this film isn’t meant to be high quality, but regardless this installment just isn’t as fun as it wants to be and unlike the 3rd film the campy aspect of the film just feels a bit forced. I wonder what the fascination horror franchise have with outer space as Hellraiser did that than there was the Friday the 13th franchise with Jason X and there were rumors of one of the Halloween films doing something with outer space, but I’m not sure how serious that was and here with the 4th Leprechaun film it’s set in outer space. A group of marines battle the evil Leprechaun (Davis) in outer space. The screenplay by Dennis Pratt never takes itself serious and he delivers an intentional campy script and while it does have some funny bits it just wasn’t working for the most part. Characters are a bit bland, but also fun to some degree. As I mentioned its hard to hate a film that doesn’t take itself seriously and I can say the same about the script. It was a nice idea in terms of taking the Leprechaun series in a new direction, but outside of a few funny moments it just again wasn’t working. Director Brian Trenchard-Smith delivers a silly and campy film, but at times it felt a little forced and what a difference between this and the 3rd film. Once again Smith establishes a light tone from the start of the film, but it just never works as well as the previous part. The pace of the film moves quick enough, but its just never as fun as it was meant to be, which can make the film quite dull in spots. The production values are also a little on the cheap side and perhaps the idea was too big for what the budget allowed, which isn’t the fault of Brian Trenchard-Smith. I’ve seen a number of Smith’s films and he’s a seasoned pro, but with Leprechaun 4 all that made the 3rd film and some of his other films such as Night of the Demons 2 so much fun is lost here despite his best intentions. This was quite a departure from the 3rd film and while I’m not sure I’d rate this the worst of the original series, but it is among the bottom. Warwick Davis is again a blast to watch and he really showcases his talents as he makes a bit more out of the material given and his John Wayne impersonation was quite funny, but there’s only so much he can do to salvage this. The cast has some notable faces such as Miguel A. Nunez Jr best known to horror fans from Friday the 13th Part V: A New Beginning and Return of the Living Dead. Debbie Dunning also co-stars and she’s best known for appearing on the sitcom Home Improvement. Overall Leprechaun 4: In Space was quite subpar and its just never as fun as it was intended. Most of the reviews are quite harsh and it isn’t difficult to see why, but this was never meant to be high quality cinema, but while I don’t think it’s quite as bad as its reputation, but with that said its not very good either and at 95-minutes its a bit too long. Leprechaun 4 does have its moments, but not enough to make much out of this one. Tagline- Welcome to Vegas. The Odds Are You Won’t Leave Alive. When the original Leprechaun was released I don’t think anybody involved thought it would spawn a franchise. The original was produced on a budget of under a million and ended up grossing over 8-million dollars and it also became quite successful on cable and video. The 2nd part wasn’t nearly as successful, but I guess the studio saw possibilities and starting with Leprechaun 3, which was released in 1995 the Leprechaun series now became DTV. I can’t confess to being a huge fan of this particular franchise, but I suppose if anything they make for decent time killers. I first saw Leprechaun 3 sometime in the 90s on cable and while I didn’t love the film I do remember having fun with the silly, but intentional nature of the film. Than I never saw the film again until I picked up the blu-ray for Leprechaun: The Complete Movie Collection and it was Leprechaun 3 I figured I would start with since based off memory it was my favorite part. And Leprechaun 3 still holds up as my favorite and the only film I generally enjoy in this series. It’s absurd with little plot, but its just a complete blast to watch. The screenplay was written by David DuBos and while Leprechaun 3 is very light on plot it is also in my opinion the best written of the series. The dialogue by the Leprechaun is more often than not quite hysterical and the film also has perhaps the strongest characters of the series. They aren’t these deeply developed characters, but they are however effective and add to the enjoyment of the film. David DuBos writes a silly and campy film and it works rather well. Leprechaun 3 was directed by Brian Trenchard-Smith best known for such films as The Siege of Firebase Gloria and Night of the Demons 2. Smith would also return to direct Leprechaun 4: In Space. In my opinion Leprechaun 3 is his best film if for anything due to the fun factor. From the opening until the closing of the film Smith establishes a fun and light tone and maintains that throughout. Smith knows exactly what he’s making and never tries overly complicates it by trying to make more out of it. Rather than go for suspense, Smith directs the death scenes more comedic and fun than scary. Brian Trenchard-Smith has had quite a successful career because he knows what his audience wants and delivers that. The pace for Leprechaun 3 is quite strong as Smith always as stated keeps it light and fun and the Leprechaun doesn’t start his killing spree until roughly the hour mark and yet the film is still quite fun. The only minor issue is by the final act Leprechaun 3 does begin to run out of steam a tiny bit as Smith took the light plot only as far as it could go, but even as the film runs out of steam a bit Leprechaun 3 still remains a fun watch. Warwick Davis is a terrific actor and he brings so much to the title character and it seems he truly enjoys playing the title role. Davis was hysterical and his Elvis impersonation was the highlight of the film. The magic show scene was also classic. The fact Davis gives his all each time out helps elevate the films even the more subpar ones. John Gatins who played Scott would later have a successful career as a screenwriter and even received an Oscar nomination for Flight, which starred Denzel Washington. I read a quote by Gatins where he said the scariest thing about Leprechaun 3 was his acting. Ok sure nobody will watch this performance and think Robert De Niro in Taxi Driver. But I liked the performance by Gatins and I think he’s being too harsh on himself though its good he has a sense of humor about it. So who cares it isn’t the greatest acting job, but Gatins was enjoyable and I liked the character so he was better than he gave himself credit for. Lee Armstrong as Tammy was also a lot of fun. Armstrong was simply stunning and she would only appear in one other film before leaving the film industry. From what I heard she doesn’t look fondly back on her work, which is unfortunate. Leprechaun 3 may not go down as a great film, but she did get an opportunity 95% of actors never will. Regardless on her thoughts on her career I thought she was quite solid. Overall Leprechaun 3 is such a fun film. Watching the Leprechaun walk around Vegas and even do a little gambling was hysterical. The film simply wants to entertain and everybody involved made it a blast. Leprechaun 3 is a silly B-movie and it knows that and doesn’t attempt to be anything else except that. Tagline- This Time Luck Has Nothing to Do with It. After the original Leprechaun was a surprise hit I guess it shouldn’t come as any surprise there was a sequel, which was released the following year in 1994. The Leprechaun franchise wouldn’t rate as one of my favorites as I find most of them either average or below average. The original film was an ok film that every few years I’ll revisit and its one of the better ones, but I guess that isn’t exactly a compliment. Leprechaun 2 is a step in the right direction and generally improves on the original and even though I give both films the same rating, but that doesn’t mean I like them equally and Leprechaun 2 while by no means a great horror film is a lot better than the original. Leprechaun 2 had a limited release and actually pulled in roughly 2-million dollars and this would be the last of the series to receive a theatrical release as the rest would all be DTV. As I mentioned Leprechaun 2 was a step in the right direction even if its still only about average though the 3rd film would actually turn out quite enjoyable and in my opinion the best of the series and this one would probably be the 2nd best. I actually never saw Leprechaun 2 in its entirety until the blu-ray release of the complete collection since as mentioned I’m not really a fan of the series outside of the 3rd film and while I knew what to expect based on what I saw of the film and based on the other installments and by no means would I rate this as a favorite, but it does turn out better than expected even if at the end its only about average. On his 1000th birthday the Leprechaun (Davis) looks to take a bride, but when tricked he vows to return on his 2000th birthday for an ancestor of his would have been bride. The screenplay was written by Turi Meyer & Al Septien who also have written such films as Chairman of the Board, Candyman: Day of the Dead (with Meyer directing) and Wrong Turn 2. They’ve also written for several shows including 19 episodes of Smallville. The script by Septien and Meyer is quite fun with entertaining characters. Septien & Meyer never attempt a serious horror picture and write it as a campy comedy. Like the original film the sequel isn’t action packed and while I didn’t mind the characters in the original, but here they’re a bit more fun, which helps keep the film fairly entertaining when there isn’t any action. While the script fun, but around the middle it does become a rehash of the original with the Leprechaun in search of a missing gold coin, only it plays out better. The script isn’t anything special, but Septien and Meyer write an entertaining script. Leprechaun 2 was directed by Rodman Flender who made his directorial debut in 1991 with the horror film the Unborn and followed that up with In the Heat of Passion and Leprechaun 2 would be his 3rd feature film. Flender also has plenty of TV credits with episodes of Tales from the Crypt, Chicago Hope, Party of Five and Dawson’s Creek. Flender is however probably best known for his 1999 cult horror/comedy Idle Hands. Rodman Flender started his career working for Roger Corman and was at one point the head of production for Concorde Pictures. From the very start of the picture Rodman Flender establishes a fun tone and stages some highly entertaining moments. The pace of the film is fairly strong, but by the final act Leprechaun 2 does begin to run out of steam and despite only running at 85-minutes it probably would have been better served with a little bit of editing. Despite any flaws for the good bulk of the running time, Flender crafts a fun film and even as it becomes a rehash of the original it plays out as mentioned a lot better. Like the original and what would follow, Leprechaun 2 is at its very best when Warwick Davis is on screen. As mentioned I’m not the hugest fan of the Leprechaun franchise, but what keeps me coming back and even revisiting the films is simply to watch Warwick Davis who really is quite a joy to watch as he truly gives it his all and is a vastly underrated actor. Warwick really gives such spirited performances and you can see how much he enjoyed playing the role. Sandy Baron as Morty is also a lot of fun to watch and he’s probably best known for his guest spots on Seinfeld as Jack Klompus (take the pen). Also look for Clint Howard in a brief, but funny role as a tourist. Overall Leprechaun 2 is campy fun and Warwick Davis alone is worth viewing this. Leprechaun 2 isn’t gonna go down as a horror classic, but for the brief 85-minute running time it serves its purpose. The highlight of the film is the Leprechaun in a bar getting drunk! 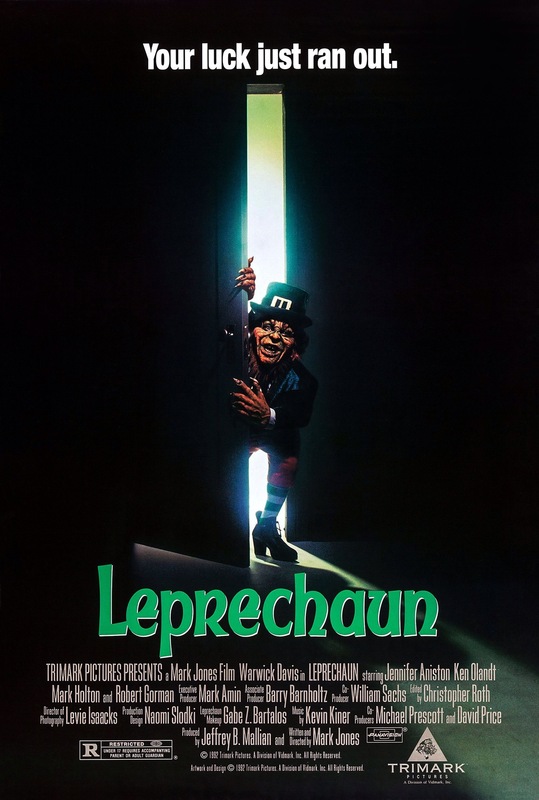 Leprechaun was filmed in 1991, but wasn’t released until 1993 and originally the film was meant to be aimed for children, but it was decided later to aim at an older audience so there was some gore added in to secure an R-rating. Leprechaun was a surprise hit for Trimark as it was produced on a budget under a million and ended up grossing roughly 8-million dollars and was quite successful on home video and spawned a whole franchise with Leprechaun 2 getting a small theatrical release and starting with part 3 they went DTV. I’m not really a big fan of the Leprechaun franchise, but I can tolerate some of them enough to revisit certain parts every few years. The 3rd film is my favorite of the series and the one I actually quite enjoy. The Leprechaun franchise has its fan made obvious by the amount of sequels, but what the original has become most known for is starring Jennifer Aniston early in her career as up to this point she wasn’t very well known with her only real notable project being the short lived Ferris Bueller’s Day Off TV series. The following year after Leprechaun, Jennifer Aniston would get the role of Rachel Greene on Friends, which became one of the most successful TV shows of all time and launched Aniston into superstardom and not long after Friends she also became a bankable film star when Friends was on hiatus. When looking back at 90s horror there were plenty of solid films, but the biggest issue even in the better ones is they kind of lacked an identity. What was working well in the early to mid 80s began to grow tiresome by the end of the decade and some of the top horror filmmakers were hitting a bit of a rut. It really wasn’t until 1996 with Scream the 90s found their identity. Leprechaun was fairly successful thanks in part of using a type of villain we haven’t seen before, but at the end of the day while Leprechaun is a fair enough film it isn’t really that different than what we’ve seen before. After his bag of gold coins are stolen an evil Leprechaun (Davis) kills anybody who stands in his way of getting them back. Leprechaun was written and directed by Mark Jones and the script is fairly decent with characters that are quite fun. Leprechaun isn’t an action packed film as the script is very much built around the main characters and while I actually liked them, but the longer the scripts focuses on them it does hinder things. Leprechaun is decently plotted, but it feels as if there was something missing. As director Mark Jones crafts a fairly fun film and he establishes a light tone quite early and the fact Jones never really attempts to make a serious picture you can just sit back and enjoy it to some degree. Despite running at only 91-minutes, Leprechaun does have some pace issues when the focus lingers on the main characters for too long and there’s nothing really suspenseful so the final act can feel a little overly long, but Jones also keeps a sense of humor about the film, but I can’t help but think the film would have been better served with a bit more action mixed in. Leprechaun isn’t gonna go down as one of the great horror films and some have complained how the film is inconsistent due to originally being aimed at children to being an R-rated film and I’d disagree there’s no shortage of films like Leprechaun in regards to the tone and violence and the sequels, which were made for an R-rating really aren’t that different than the original. The cast is fairly solid and Jennifer Aniston gives a fun performance and it isn’t difficult to see why she became such a major Hollywood player. Leprechaun is at its very best when Warwick Davis is onscreen. Warwick is a terrific actor and as the Leprechaun you can clearly see he was having a blast and this also shows in the sequels and even in the weaker films in the series Warwick makes them a bit more bearable. Warwick Davis is quite hysterical, but there’s also something quite sinister about him and his performance here was quite fun and again Leprechaun works best when Warwick is onscreen. Overall Leprechaun is a fun silly little film that serves its purpose. Nothing here is really meant to be taking seriously and while this isn’t gonna go down as a horror classic its fair enough to make a fun viewing.